The Elk Grove High School Music Department offers a variety of after school winter programs that help develop student performance levels. This is a non-graded after school program. The staff will audition students for placement in the program. It is an honor system of commitment and dedication towards performance and competitions in the winter and spring season. Students represent the music department and the school. All school rules apply. Students and parents will sign a contract to follow strict attendance policy, commitment of calendar rehearsals and performance to meet competition deadlines. Completion of these programs will add extra-curricular accomplishments to college resumes and community hours. The EGHS Drum Major Academy focuses on leadership through conducting and "L" pattern baton or mace parade repertoire. Students must be enrolled in the music department in order to participate. Free lessons are offered during Herd Time and after school practice. Students compete in the NCBA Solo Drum Major Competitions aligned with winter percussion and guard competition calendar. The Drum Major Academy trains future drum major techniques and leadership qualities for high school and college. A contract of attitude and leading through example will be implemented in order to compete and represent EGHS Drum Major Academy. 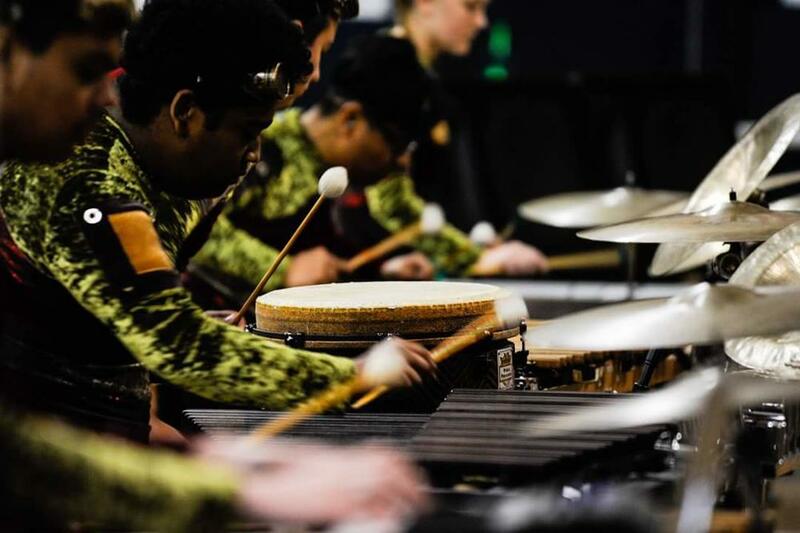 The EGHS winter percussion ensemble is an extension of marching band focusing on percussion technique and marching. The award winning ensemble was the 2013 NCBA Scholastic Champions. The ensemble continues the after school rehearsals and Saturday competitions. Students represent the music department and the school. All school rules apply. Students and parents will sign a contract to follow strict attendance policy, commitment of calendar rehearsals and performance to meet competition deadlines. Students must be enrolled in band and/or jazz class in the fall and spring in order to participate (excluding bass, guitar, and piano if needed). Students must complete the fall season in band and/or in jazz band. The techniques taught in this program is a good training program for drum and bugle corps. Alumni of the program have moved with the following groups: Blue Devils B, Mandarins, EnVision, Santa Clara Vanguard C, Cascades, and many more. 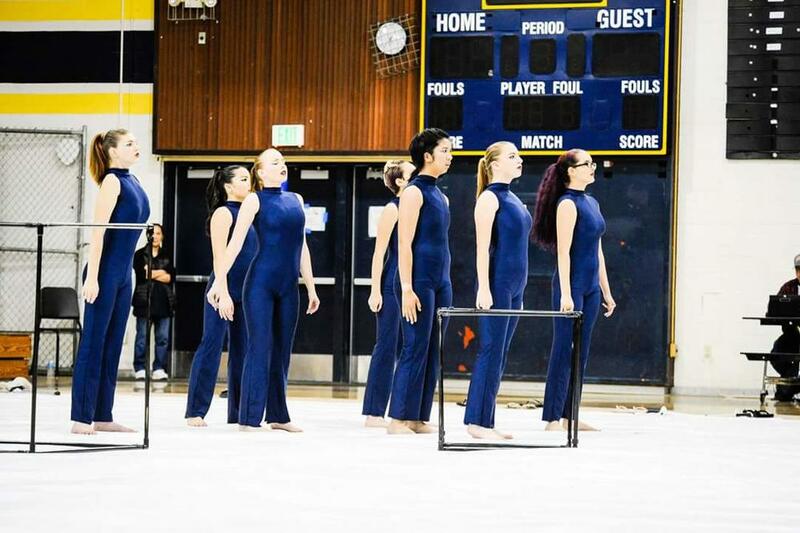 The EGHS winter guard is an extension of marching band focusing on color guard and dance technique. The color guard continues the after school rehearsals and Saturday competitions. Students represent the music department and the school. All school rules apply. Students and parents will sign a contract to follow strict attendance policy, commitment of calendar rehearsals and performance to meet competition deadlines. Color Guard students that cannot be in the band class will practice after school. Color Guard is a continuous challenge for recruitment. We will change the after school admission rules when the color guard numbers are 50 or more that does not take away students from the band class.